BRASS GATE VALVE 4"BRASS GATE VALVE KITZ is produced under The ISO 9001 StandardApplicable for comme..
BRASS GATE VALVE Fig. FH 1"
BRASS GATE VALVE Fig. FH 1"BRASS GATE VALVE KITZ is produced under The ISO 9001 StandardApplicable f..
BRASS GATE VALVE Fig. FH 1.1/2"
BRASS GATE VALVE Fig. FH 1.1/2"BRASS GATE VALVE KITZ is produced under The ISO 9001 StandardApplicab..
BRASS GATE VALVE Fig. 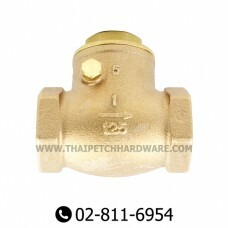 FH 1.1/4"
BRASS GATE VALVE Fig. FH 1.1/4"BRASS GATE VALVE KITZ is produced under The ISO 9001 StandardApplicab..
BRASS GATE VALVE Fig. FH 1/2"
BRASS GATE VALVE Fig. FH 1/2"BRASS GATE VALVE KITZ is produced under The ISO 9001 StandardApplicable..
BRASS GATE VALVE Fig. FH 1/4"
BRASS GATE VALVE Fig. FH 1/4"BRASS GATE VALVE KITZ is produced under The ISO 9001 StandardApplicable..
BRASS GATE VALVE Fig. FH 2"
BRASS GATE VALVE Fig. FH 2"BRASS GATE VALVE KITZ is produced under The ISO 9001 StandardApplicable f..
BRASS GATE VALVE Fig. 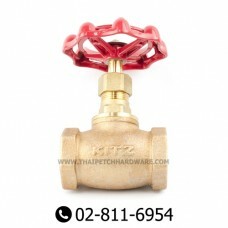 FH 2.1/2"BRASS GATE VALVE KITZ is produced under The ISO 9001 StandardApplicab..
BRASS GATE VALVE Fig. FH 3"BRASS GATE VALVE KITZ is produced under The ISO 9001 StandardApplicable f..
BRASS GATE VALVE Fig. FH 3/4"
BRASS GATE VALVE Fig. FH 3/4"BRASS GATE VALVE KITZ is produced under The ISO 9001 StandardApplicable..
BRASS GATE VALVE Fig. 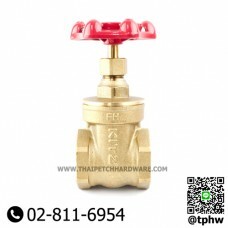 FH 3/8"
BRASS GATE VALVE Fig. FH 3/8"BRASS GATE VALVE KITZ is produced under The ISO 9001 StandardApplicable.. 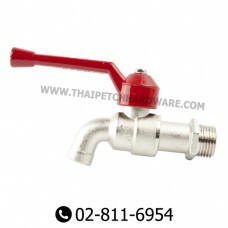 BRONZE GLOBE VALVEโกลบวาล์ว ยี่ห้อ KITZ ถูกผลิตภายใต้มาตราฐานอุตสาหกรรม ISO 9001เหมาะสำหรับงานอุตสาห.. BRONZE SWING CHECK VALVE KITZSwing Check Valve KITZ is produced under The ISO 9001 Standardapplicabl..
SANWA Ball Tap 1/2"The tap is made of brass and chromium plating of best quality. High quality Teflo..
SANWA Ball Tap 1/2" (10 Pcs/box)The tap is made of brass and chromium plating of best quality. High ..